Canada’s beloved musical festival, Shambhala returns to the stunning Kootenay Mountains at the primal Salmo River Ranch for one epic weekend, all taking place this summer on August 9-12th, 2019. For two decades Shambhala has been one of the world’s all time greatest music festivals, accepting all walks of life with the best vibes imaginable. Each and year Shambhala strives to make the best experience possible for every person is involved. In its 22nd edition Shambhala released its biggest lineup yet. Welcoming some of the biggest names in dance music. With over 200 artists reaching all realms of dance music, this year’s lineup Shambhala Music Festival welcomes headliners such as TroyBoi, ZHU, Rusko, GRiZ, NERO (DJ set), Chase & Status (DJ set), Dupstep king Excision, and Kaskade. Other headlining acts include techno duo Anti Up members consist of Chris Lake and Chris Lorenzo, and a new duo Silk City members are two elite producers Diplo & Mark Ronson. The lineup continues with techno artists such as Anna Lunoe, Beats Antique, Doc Martin, Billy Kenny, Jack Beats, Dirtybird’s Justin Martin, and tribal house legend SABO. Other house heroes include SNBRN, Mala, and DJ Duo from Cape Town, South Africa, Goldfish. Also, Trance legend Paul Oakenfold! It wouldn’t be a massive Shambhala without the bass artists like The Funk Hunters, Grandtheft, Minnesota, AC Slater, Boogie T, and Downlink, plus much more! Shambhala favorites include, A.SKILLZ, Defunk, EL Papachango, Father Funk, Fort Knox Five & QDUP, JFB, JPOD, K-LAB, LWSD, Mat The Alien, SLYNK, Stickybuds, and WBBL. With six uniquely themed stages - The Village Stage, The Living Room Stage, Fractal Forest, The AMPhitheatre, The Grove, and The Pagoda Stage. All spread across throughout this family-run festival, powered by Shambhalove. "It's all about the people on the dance-floor." Embark on your next Shambhala journey and break free from reality for a weekend. Whether getting lost on the farm or in the music it’s up to you. While the last remnants of the dust and glitter from the farm may finally be leaving your clothing, Shambhala Music Festival hopes that the magic you experienced stays with you for a lifetime. Among the stages, music, yoga, and workshops, every year provides a chance to reconnect with yourself and others on a path of self-discovery. Where will your #Shambhala2019 journey take you? 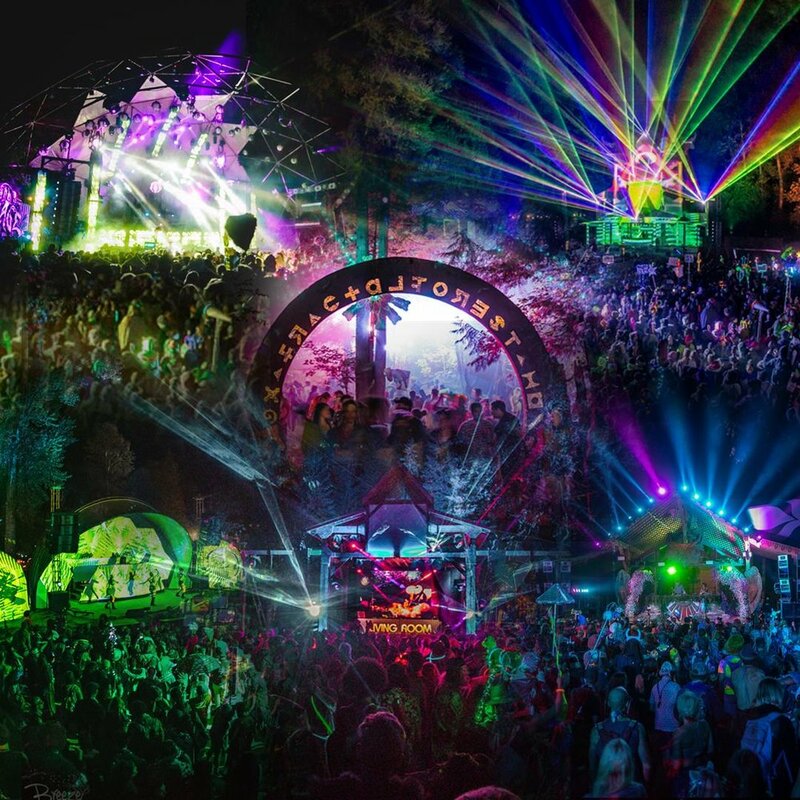 Be sure to follow Shambhala Music Festival for all announcements, plus info and stage lineups. Payment plans are still available option will be available for a limited quantity of GA tickets, so don’t miss out! ShambhaLodging Packages are still to be paid in full during the time of purchase.